You will require your Remote Access SSO(RASSO) username and password to access this network. 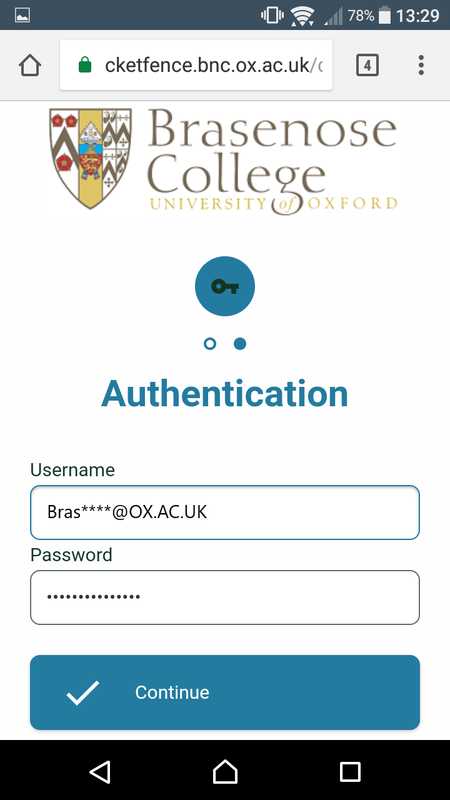 For students, please use your Remote Access SSO (RASSO) username(bras****@OX.AC.UK) and password to log in. For more information about username please click here. 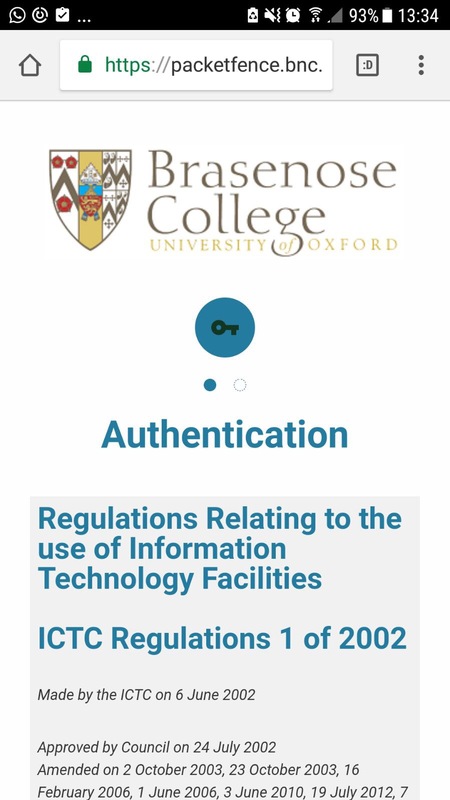 Scroll down and enter your login details under identity (i.e. username) and password. If there is an "anonymous identity" field, leave it blank. Once connected, if it does not happen automatically, you must open a browser and navigate to a simple address such as bbc.co.uk. This should then bring up a license agreement as shown. Scroll to the bottom to accept this. On the next page enter the same credentials as you used above. Press continue and once the progress bar at the bottom has completed you may see the error shown below. This is OK - Just wait 30 seconds and you should now be online. Detailed here are known issues. 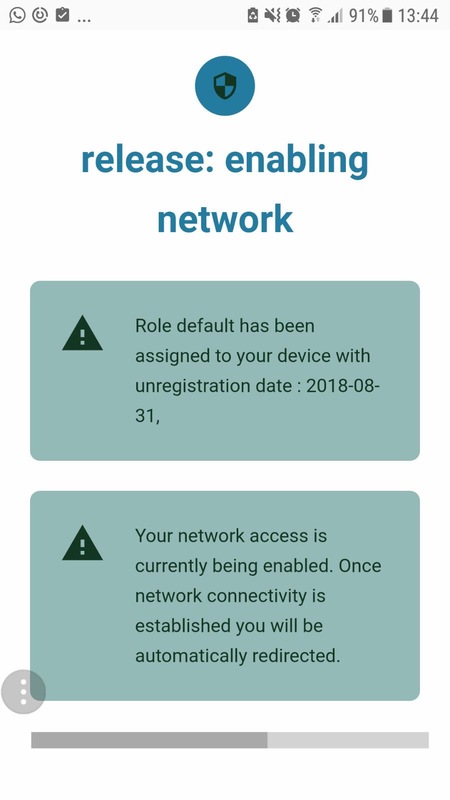 Please contact us if you have other problems connecting to the WiFi. 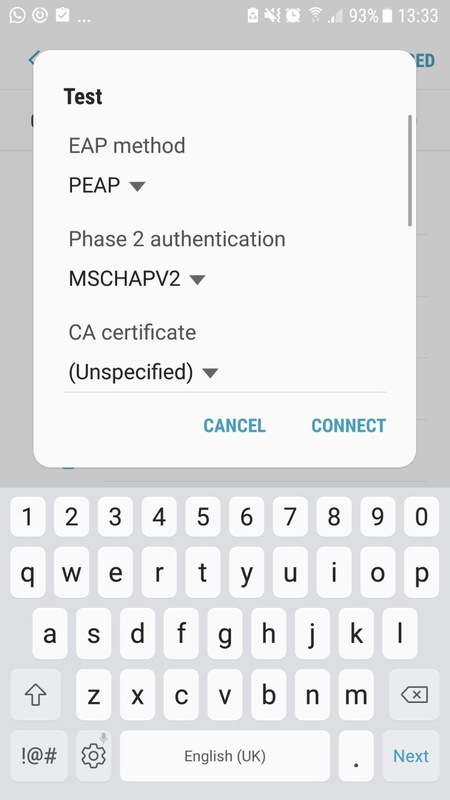 If your browser tells you your connection is not private and refuses to connect you to the license agreement page, then check that the URL begins 'http://' and not 'https://'. 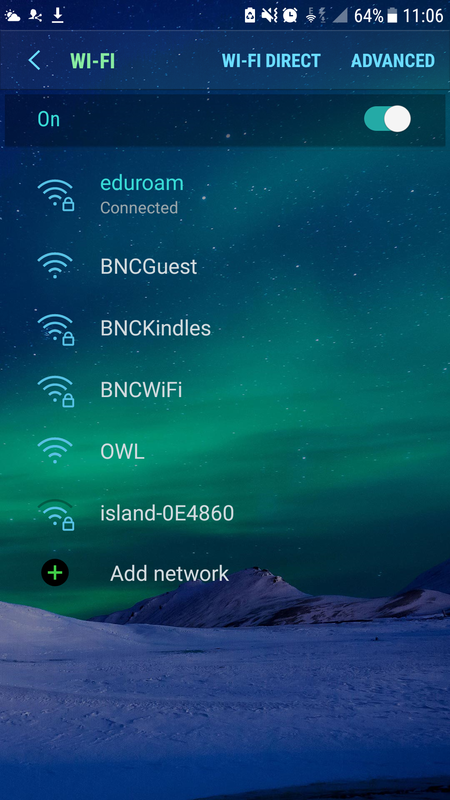 If you get a message saying "Waiting for connection to improve," it's possible that the setting 'Smart Switch' is enabled (Only available on certain versions of Android and may have different names on different devices). 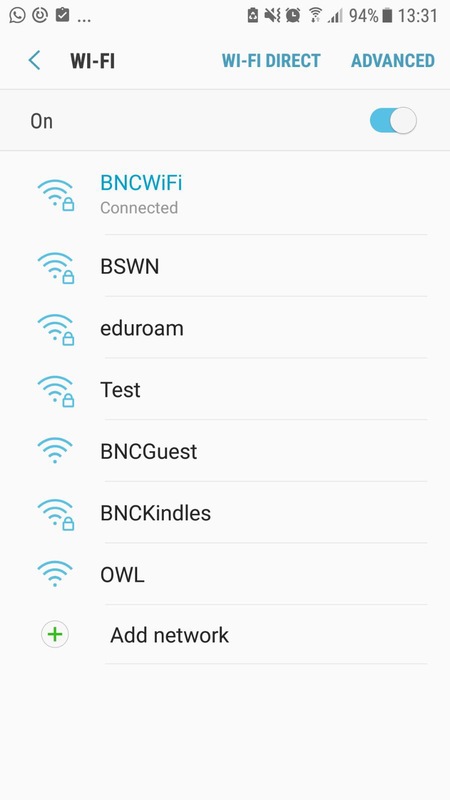 This setting tells Android to use mobile data or WiFi depending on which connection is faster, and this causes problems for connecting to BNCWiFi. It needs to be turned off. 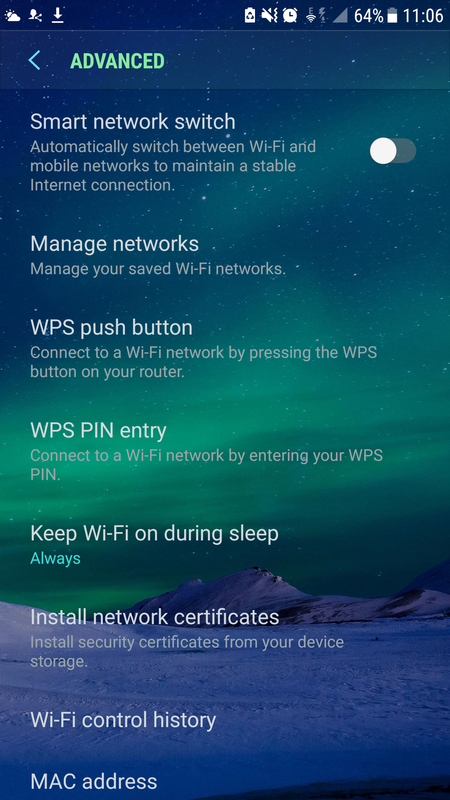 The screenshots (right) show where to find this setting on a Samsung phone.